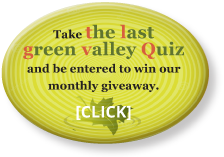 The Last Green Valley has a 30-day refund policy regarding membership fees, program and event registrations, merchandise, and donations. Please include name, address, date of transaction, phone number, email address, and if it was a membership, program, event registration, merchandise, or donation. A refund will be issued in the form of your original payment. Please allow up to two billing cycles for a credit to appear on your credit card’s statement.